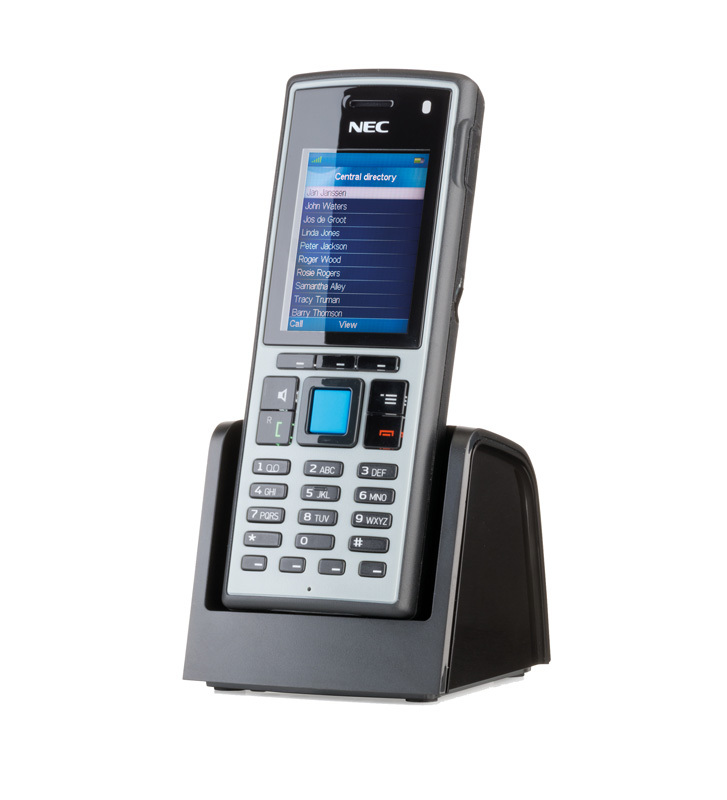 The I766 DECT handset is a powerful communication tool and with its ruggedized design ideal for the most demanding environments such as in healthcare, manufacturing and industry. Shocks, dust and water splashes do not harm the I766. This ruggedized handset is designed for use in potentially demanding environments such as in healthcare, manufacturing and industry. It is extremely easy to use and satisfies the most advanced voice and message requirements. An alert? An alarm? A man-down situation? Powerful text and alarm messaging capabilities are at hand for a wide variety of applications in different types of business. With messaging, staff can be alerted about incidents such as a fire, nurse calls or status of industrial processes. Pushing the SOS button on the phone, the system alerts staff to provide assistance, while the system automatically provides the location information of the phone sending the alarm. Find the telephone numbers and names of the entire organization easily with the central directory always at hand. And what’s more, you know when they are available to take a call. Simply browse to the right person in your DECT handset and check the person’s presence status. So much for convenience and efficiency! The handset’s intuitive user interface is easy to use and makes the device naturally fit into your business habitat. The attractive colour display and icon based menus are appealing and supportive, while the programmable keys add even more convenience.